These images were taken during a residential yoga course in the Himalayas, India, during the summer of 2011. The subjects were asked to meditate, focus their thoughts on their personal mantra and select the focal point in the space between their eyebrows (the third eye). It is not easy to depict belief or the act of faith, so, as the photographer or ‘seer’, I wanted to reflect the idea of seeing the “inner self” during meditation, using the concept of the ‘third eye’ (the space between the eyebrows), with the camera as my third eye. The images are intentionally repetitive, as they reflect a state of contemplation. They are also seductive, as they encourage the audience to stare at the subject and try to guess their thoughts. 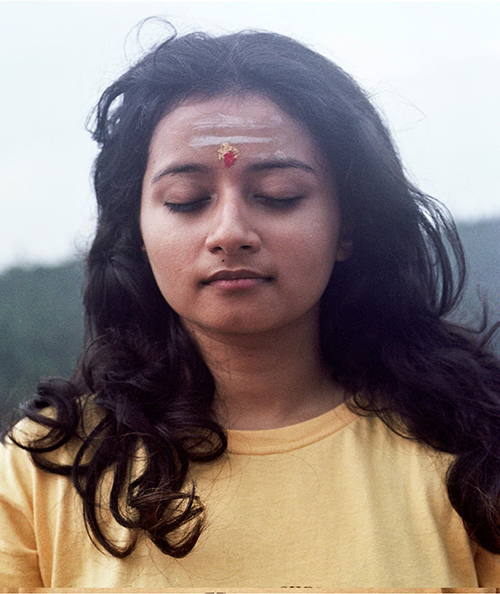 The images show the subjects meditating, up to the point they opened their eyes.